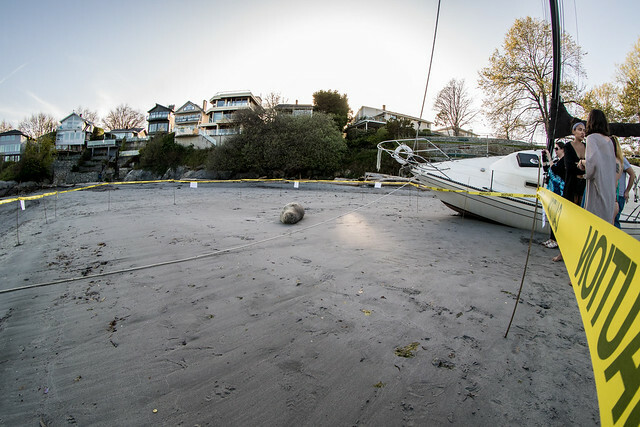 If you’ve ventured down to Gonzales beach lately, you might notice an unusual mammal appearing to sunbathe. 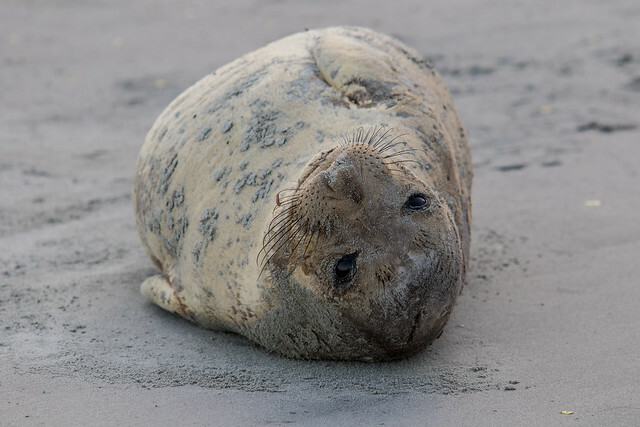 A seal is currently molting (shedding its hair) on the sand. But this is one beachgoer you won’t want to get too close to. 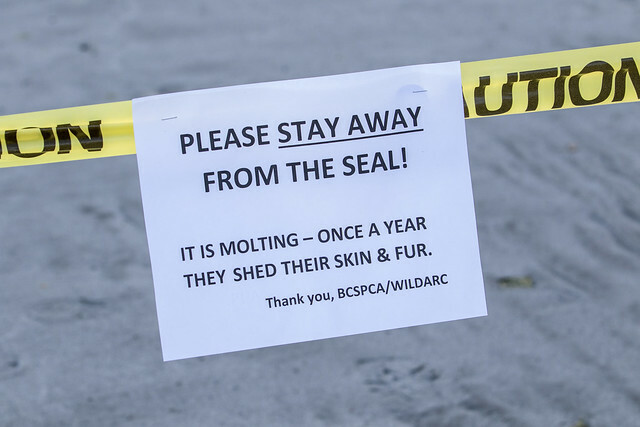 The BC SPCA’s Wild Animal Rehabilitation Centre (Wild ARC) has put up caution tape to discourage people from approaching the animal. But in case that isn’t enough, here’s a friendly reminder from us at Victoria Buzz to leave the seal alone. 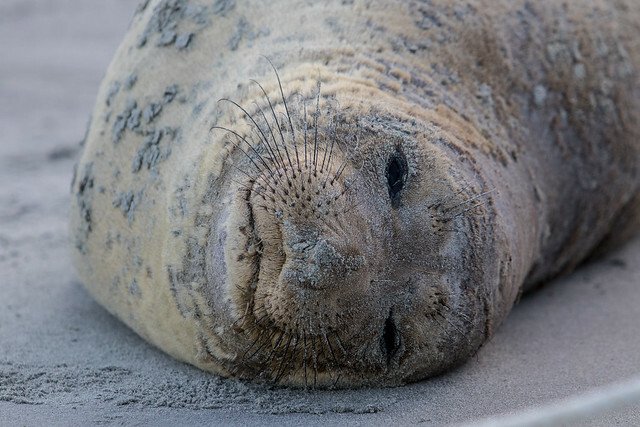 Pinnipeds, like other mammals, must replace old skin and hair. 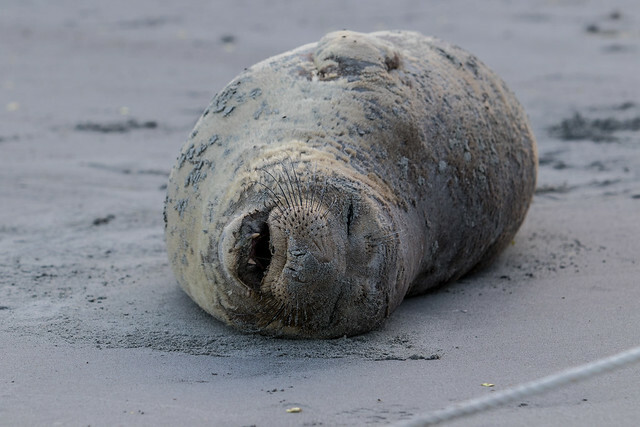 Most animals shed hairs year-around, but elephant seals do it all at once. 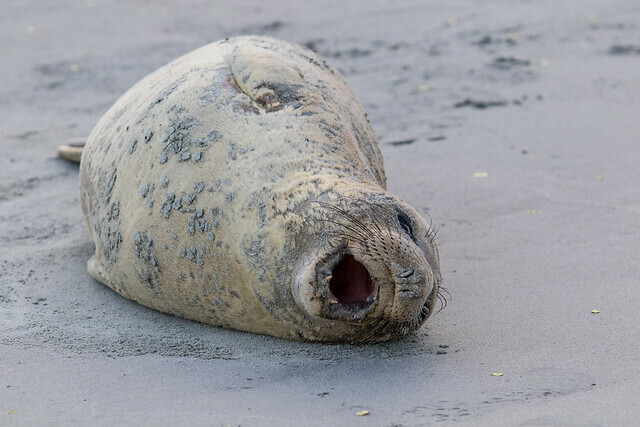 The moulting process is so abrupt in the elephant seal that it is called a “catastrophic moult”. The moulting process usually lasts 25 to 28 days, during which time the animals don’t go into the water to feed. Depending on age and gender, moulting happens at different times each year. Females and juvenile animals generall moult from April through May, sub-adult males from May through June, and adult males from July through August.